The other day I was thinking about all the cute things you find. When you purchase a house someday, it's going to be SO cute. I can't wait. I may have to get an early birthday gift for my Mom! I really like the fish ones! Thanks for stopping by my blog. 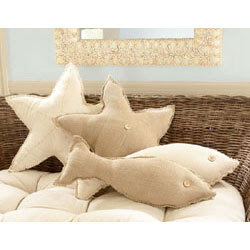 I love these pillows so cute. you find the neatest things.